Greek police have arrested one of the country’s top journalists, after his publication Hot Doc released the so-called 'Lagarde list,' containing the names of some 2,000 Greeks with funds hidden in Swiss bank accounts. 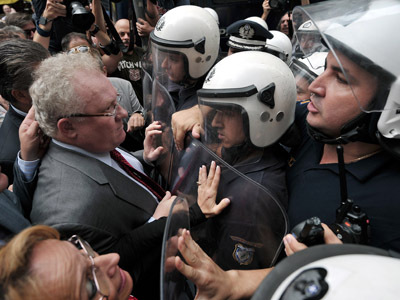 The police arrested Kostas Vaxevanis, the owner and editor of Hot Doc, during a live radio interview on Sunday. “They're entering my house with the prosecutor right now. They are arresting me. Spread the word,” Vaxevanis tweeted. He is due to appear in court on Monday to answer charges of privacy violations from publishing the list of names, which dates to 2007. “Instead of arresting the tax evaders and the ministers who had the list in their hands, they are trying to arrest the truth and free journalism,” Vaxevanis said in an interview. The speaker of the Greek Parliament, several Finance Ministry employees and a number of business leaders all reportedly had Swiss HSBC bank accounts. The Hot Doc article revealed that data matched that of Christine Lagarde, the former French finance minister who in 2010 provided her Greek counterpart a list of names of those alleged to have large sums of money stashed away in Swiss banks. Citing privacy concerns for individuals on the list, Hot Doc said it had redacted exact bank balance figures, but added that some accounts contained as much as 500 million euros. 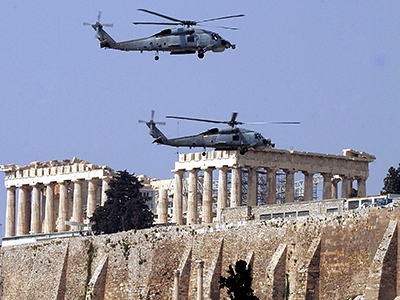 The Greek government took no action at the emergence of the first 'Lagarde list.' Tax evasion has become a hotly contested issue, as the country’s parliament is expected to vote on a new 13.5 billion euro austerity package that most Greeks oppose. On Friday, the office of former Prime Minister George Papandreou denied accusations that he knew about the list, after a member of the opposition Syriza party asserted that Papandreou had helped arrange a meeting with the chief of the Geneva HSBC branch when he was in power. Last week, former Finance Minister George Papaconstantinou said that he had asked the country’s financial crimes unit to investigate about 20 Greeks suspected of maintaining large holdings in Geneva, after French authorities forwarded him the list in 2010. He also claimed that the Finance Ministry’s legal adviser had told him that using the list as evidence was problematic, since an HSBC employee had illegally leaked it. International lenders have long insisted that Greece investigate those suspected of tax evasion before the country be deemed eligible for further bailouts. The Hot Doc report did not make specific accusations of money laundering. 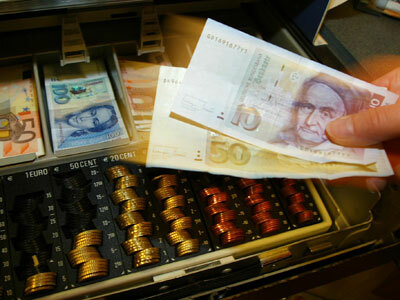 The publication pointed out that it was legal to own a Swiss bank account, but implied that the Greek government has done little to investigate the matter. Giorgos Voulgarakis, the speaker of parliament from Mr. Samaras’s center-right New Democracy Party, was quick to deny the accusations and responded by accusing Hot Doc of slander. 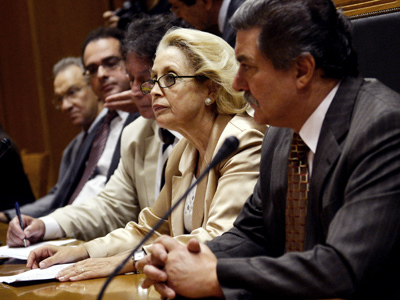 According to the magazine, Voulgarakis’ HSBC deposits dating back to 2003 are not on the speaker’s tax declarations. A massive social media campaign is now underway asking that all charges against Vaxevanis for his role in the 'Lagarde list' leak be dropped. ­The leading investigative reporter in Greece had been arrested for “effectively serving the public interest,” Yanis Varoufakis, professor of Economics at the University of Athens, told RT. He says Greek politicians are not keen to expose corruption as the country’s political and business elite have historically been intertwined. “Let’s not beat about the bush. The great problem with tax evasion in Greece…it is one of the reasons that Greece is being portrayed internationally as a corrupt country, and Greeks on the streets who pay their taxes, work very hard and are suffering are incensed at how they are portrayed internationally,” Varoufakis said. 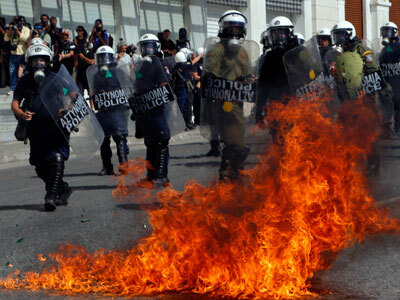 “The fact is that for the last 30-40 years, the rich in Greece has enjoyed a kind of tax immunity. They’re not really tax evaders, they’re immune from tax because of the cozy relationship that they have with politicians who legislate in a way that makes that tax immunity,” he continued. 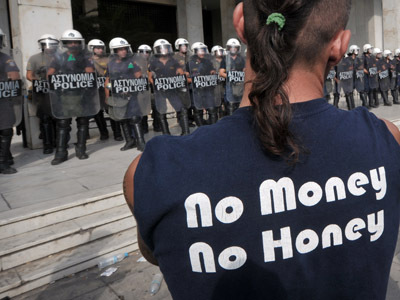 He argues that this conflict of interest has made Greek politicians more interested in covering up tax evasion than exposing it.